Starting in the 1990's, the development of the fracking process for "tight gas" formations led to a dramatic increase in the supply of natural gas from domestic resources. The Marcellus and Utica shale formation on the western edge of the Appalachians provided a major increase in supply for the urban markets on the East Coast, triggering plans for new pipelines acoss Pennsylvania, West Virginia, and Virginia. New pipelines were also needed to supply natural gas to new electrical generating plants, built in rural areas where large blocks of land could be purchased at low cost and power plant emissions would not violate Clean Air Act standards. In 2003 East Tennessee Natural Gas (at that time partially owned by Duke Energy, and now by Spectra) built the Patriot Extension, a 24-inch (diameter) pipeline bringing natural gas from the main trunkline in Wythe County southeast into North Carolina. The Patriot Extension was expected to provide fuel to new power plants. Several were cancelled, including one by Dominion in North Carolina, one by Duke Energy at Austinville, and one planned by Cogentrix in Henry County. Transco built its own pipeline extension, the Virginia Southside Expansion, in 2015. 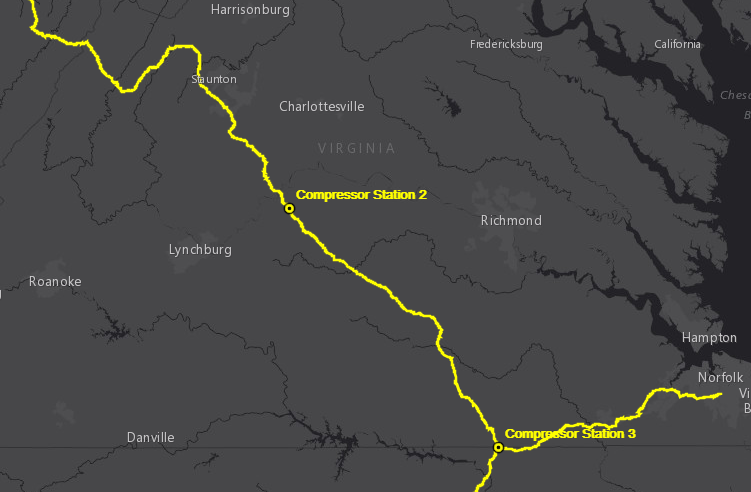 That new 24-inch pipeline, parallel to an existing 20-inch pipeline, extended service 100 miles eastward from the compressor station known as Transco Station 165 in Pittsylvania County. After Dominion committed to build another natural gas-fired electric generation facility in Greensville County, Transco proposed to extend the Virginia Southside Expansion pipeline an additional four miles. That Phase II extension, known as the Greensville Lateral, would provide gas to the new 1,580-megawatt power plant. In 2014, pipeline companies announced three competing plans to bring Appalachian Basin shale gas to markets in Virginia and North Carolina. 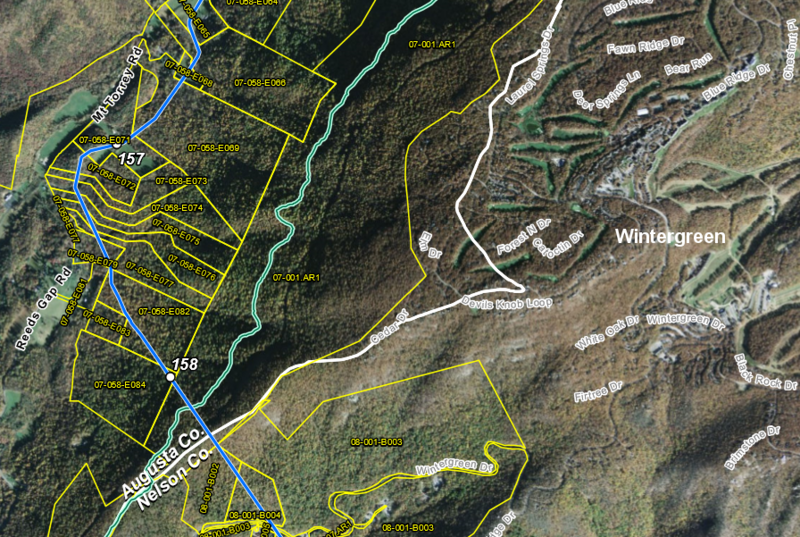 EQT Midstream Partners and NextEra Energy proposed the Mountain Valley Pipeline. 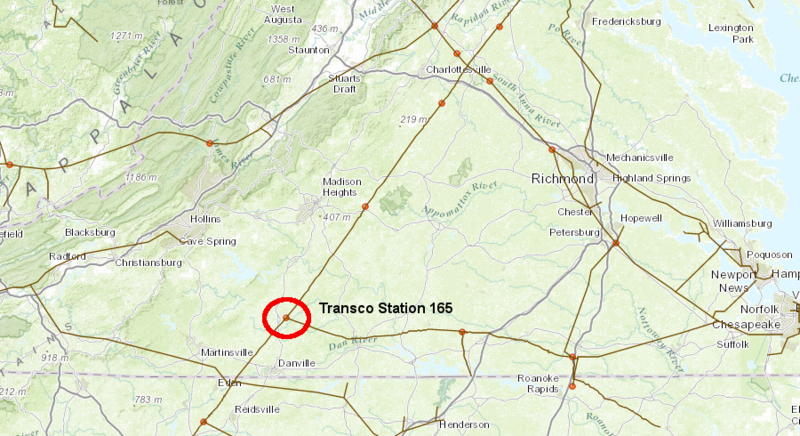 Transco (Williams) championed the Appalachian Connector, and a partnership controlled by Dominion and Duke Energy was behind the Atlantic Coast Pipeline project. Building pipelines to deliver the new supply of gas to customers on the east side of the Appalachians requires identifying enough customers along a particular route to justify the investment. Between initial announcement and formally filing a route proposal with Federal/state agencies that must approve a project, pipeline companies revise the route in response to community objections and to avoid sensitive environmental/cultural areas. All announced projects create angst within the communities and rural areas which might be disrupted by construction and limitations on use of land above the buried pipeline. 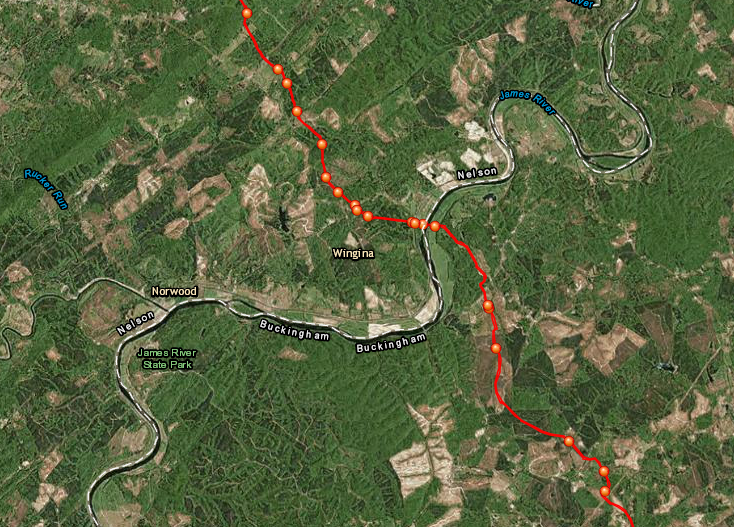 The Mountain Valley Pipeline and the Appalachian Connector have a fixed end point. 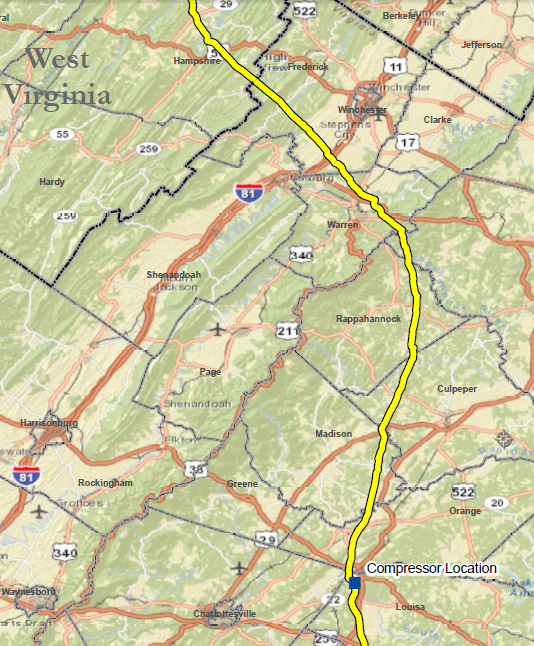 The pipelines would be built from roughly the same location in West Virginia to the same destination, the compressor station known as Transco Station 165 on the existing Transco pipeline in Pittsylvania County. 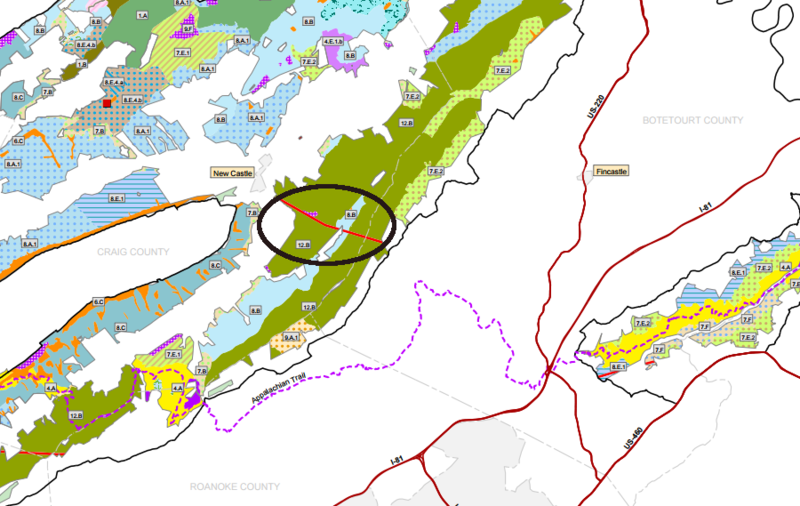 The proposed Atlantic Coast Pipeline would cross the existing Transco trunk line further north. Using a common energy corridor would minimize impacts on landowners and the environment, but exacerbate competition. 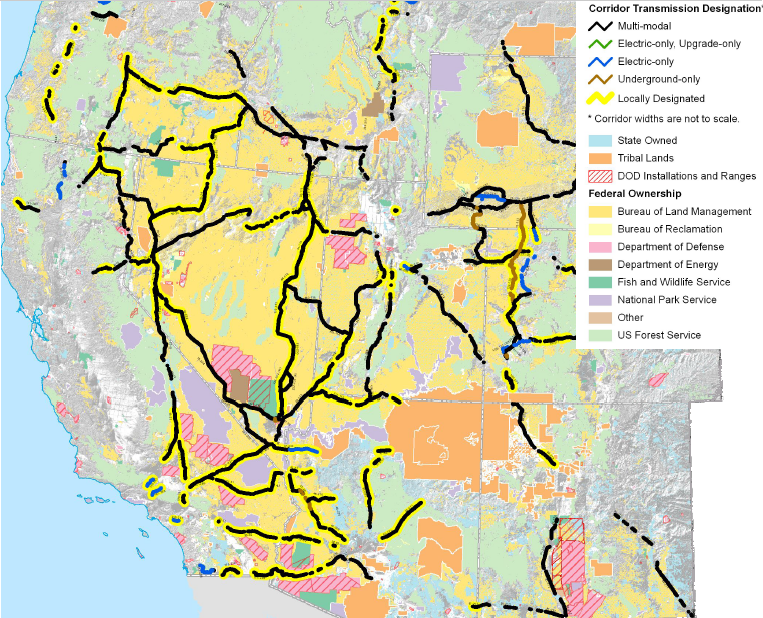 In the western states, where Federal lands were being affected by a series of energy transportation projects, the Bureau of Land Management has defined in advance the appropriate paths for electrical transmission lines and gas/petroleum pipelines. 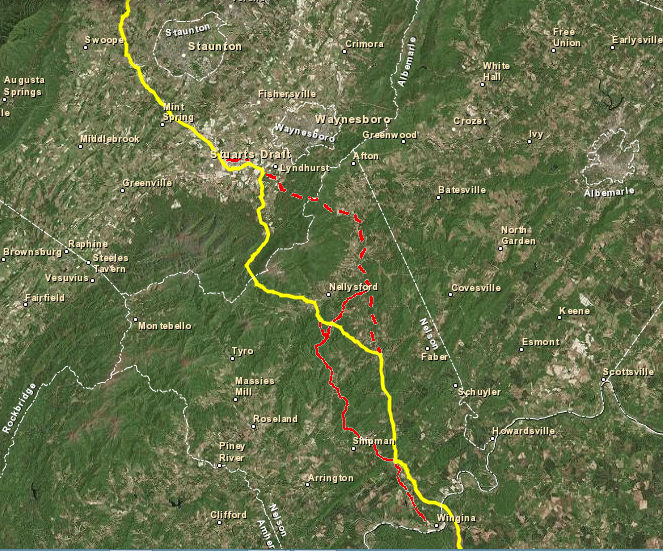 Some of the right-of-way for the failed Greenbrier project was proposed for the Mountain Valley Pipeline. That project would link shale gas production fields in West Virginia with customers in southern Virginia and perhaps North Carolina. Public opposition to the Mountain Valley Pipeline developed quickly. It would create a cleared area as much as 75-feet wide through farms and forests in Giles, Pulaski, Montgomery, Floyd, Franklin and Henry counties on the way to a connection with the Transco pipeline in Pittsylvania County. 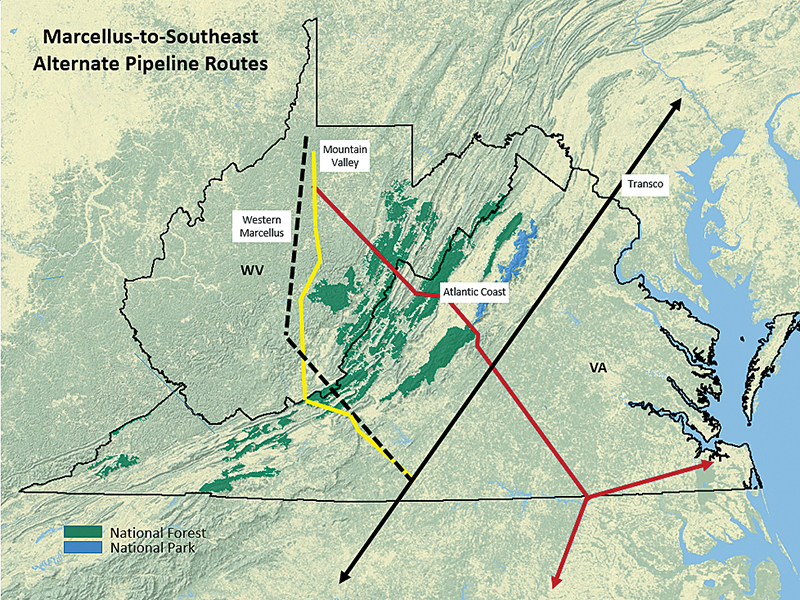 The Atlantic Coast Pipeline initially was a $2 billion project called the Dominion Southeast Reliability Project It was proposed by Dominion Energy to transport shale gas produced from the Marcellus/Utica formations to Dominion's power plants and other customers. Duke Energy joined as a partner with an initial 40% share in the project. That utility has old coal-fired power plants in North Carolina to replace, and plans to burn more gas and less coal in its new facilities. The project then grew into a $5 billion proposal to construct a 42-inch, 450-mile pipeline from West Virginia to supply Dominion and Duke Energy power plants in Virginia and North Carolina. 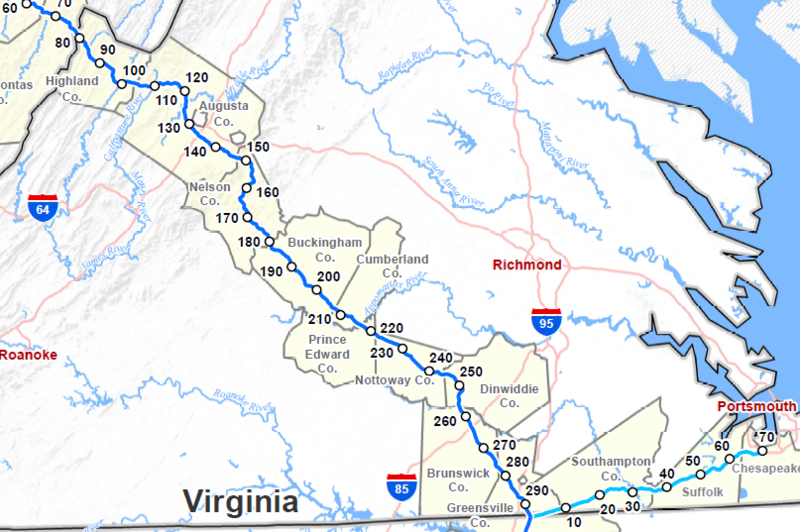 Virginia Natural Gas could not justify building a new pipeline east from the Transco trunk pipeline to serve just the company's customers. At the same time, it lacked enough capacity to attract new industrial users. The Atlantic Coast Pipeline project was different, because other companies would pay most of the transportation costs. As a 5% partner, the economic burden to increase the supply of natural gas in Hampton Roads was substantially reduced. The beauty of the ACP [Atlantic Coast Pipeline] is that we're able to aggregate our load with those other customers, and the result is far more economical than any of the alternatives we explored in the past... We don’t have any other options... We’ve explored Columbia and Dominion but those vintage pipelines are not easily expanded. You can’t simply add compressors. You have to twin them [laying down a parallel pipe] and those rights of way are too narrow. 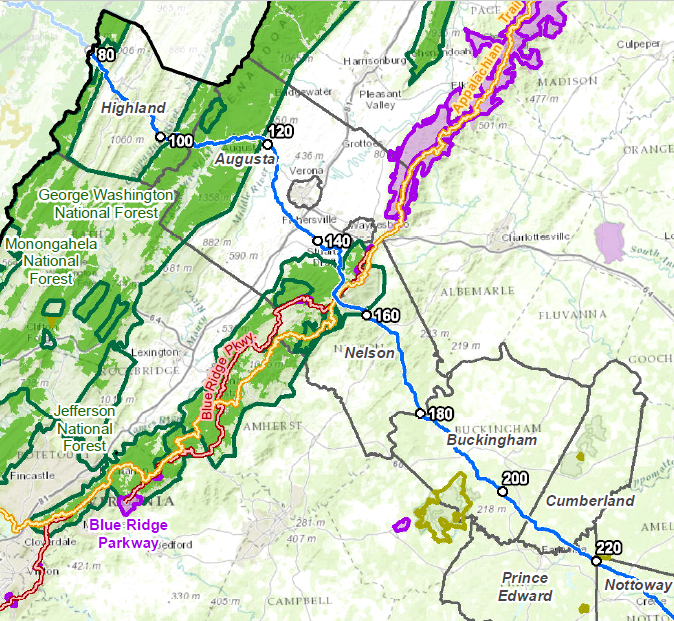 The environmental impacts triggered opposition, especially in the karst regions of the Shenandoah Valley and where the pipeline would cross Blue Ridge. 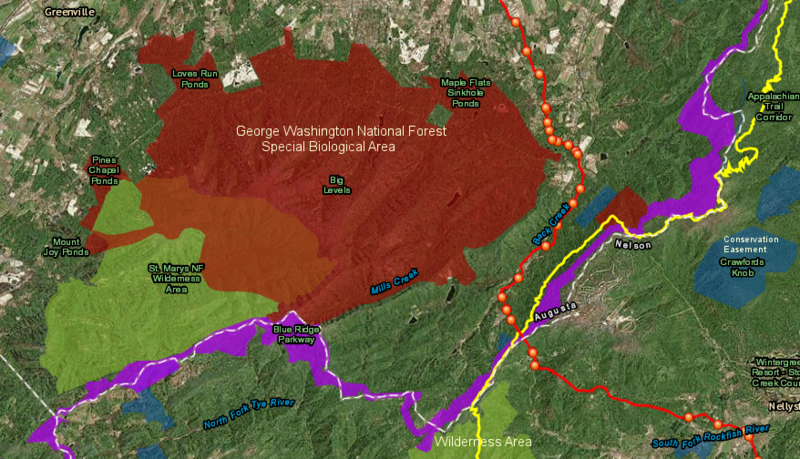 The pipeline would cut through sensitive natural habitats and cultural areas, including the Appalachian Trail and Blue Ridge Parkway. If the Atlantic Coast Pipeline is completed, natural gas piped to eastern Virginia from the Gulf Coast would face significant competition from gas produced by fracking in the Appalachian Basin. Once its contracts with Transco expired, Dominion could use gas from Ohio rather than from Louisiana/Texas to supply its power plants in Buckingham, Brunswick, and Greensville counties. The demand for natural gas in southern states peaks in the summer, when air conditioning is in common use. The demand for natural gas in the north peaks in the winter, when interior spaces are heated. The price of natural gas transported north from the Gulf of Mexico drops in the summer. The price of gas produced in the Marcellus Basin, which would be carried south by the Atlantic Coast Pipeline and the Mountain Valley Pipeline, drops in the winter. One justification for the new pipelines was to increase competition by connecting a new source of gas, allowing Virginia and North Carolina customers to get better prices. Neither Duke Energy nor Dominion makes a profit on the fuel used to create electricity. As the costs of gas, coal, and other shift, the rates charged to customers are adjusted up or down. The fuel rate adjustment insulates the utilities from price spikes triggered by oil embargoes or other causes which utilities can not control, while ensuring that customers get savings when the costs of energy supplies drop. If the utilities could purchase natural gas at lower prices, they could still benefit by lowering prices to industrial customers and selling more electricity. Unlike residential customers, industrial customers have options. If electricity is the low-cost option within the service area of a utility, then existing industries might expand and use more electricity. In addition, costs of electricity is a competitive actor for industrial companies when they choose to relocate or build new facilities. Owning a gas pipeline could help the parent companies of investor-owned regulated utilities to make a greater profit. 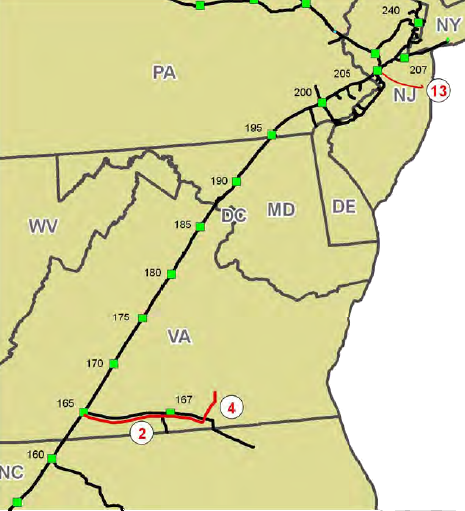 The Federal Energy Regulatory Authority (FERC) allows for a higher rate of return on capital invested in interstate pipelines for transporting natural gas, compared to the rate of return allowed by state regulators in Virginia and North Carolina for capital invested in electricity generation and distribution. The parent companies of Dominion and Duke Energy anticipated making a 14% rate of return from their investment in the Atlantic Coast Pipeline transporting natural gas to their own electricity generating plants. 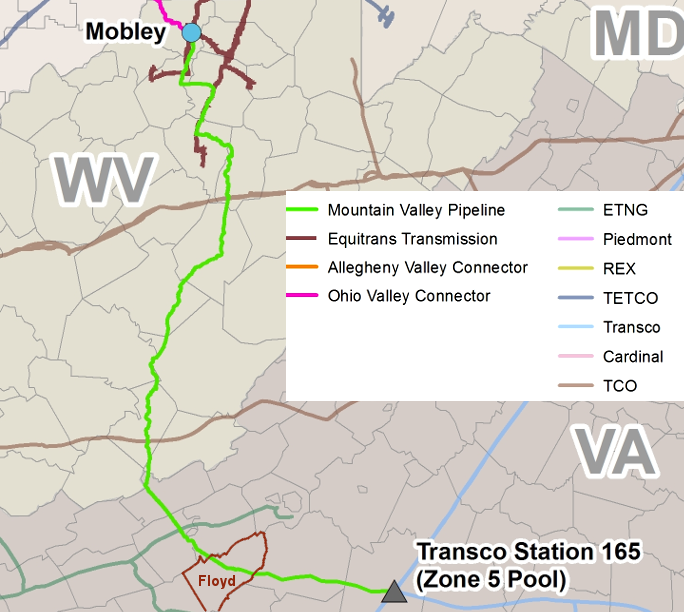 When existing contracts with Transco expire, the utilities will be able to steer payments for transporting natural gas to the Atlantic Coast Pipeline. Corporate subsidiaries of Dominion, including regulated utilities, committed to purchase 20% of the natural gas to be moved through the pipeline. The State Corporation Commission declined to examine the anticipated costs of that transmission, and declared that the issue would be addressed only when the utility asked for rates to be adjusted. That would occur after the $7 billion Atlantic Coast Pipeline was completed. Opponents to constructing the Atlantic Coast Pipeline (ACP) suggest that a new pipeline is not needed. Plans by Dominion Power to build new gas-fired generation plants in Southside Virginia would lock in future demand for natural gas transmission, since the State Corporation Commission would add the facilities to the rate base used to set prices that the utility could charge customers for electricity. ...This is a system that encourages overbuilding, even when cheaper alternatives like existing pipelines make sense. And it is a system that can trap the region in fossil-fuel dependence even longer. The pipelines would last 80 years, and with so much time and money poured into them, utilities will have a powerful incentive to thwart meaningful pursuits of renewable energy, like solar power. ...Pipeline tariffs are based primarily on the rate base (the depreciated cost of the pipeline) plus the allowed rate of return. The rate base for a new pipeline is much higher than a nearly fully depreciated one. That is why it is considerably cheaper to transport natural gas using existing pipelines compared to new pipelines. 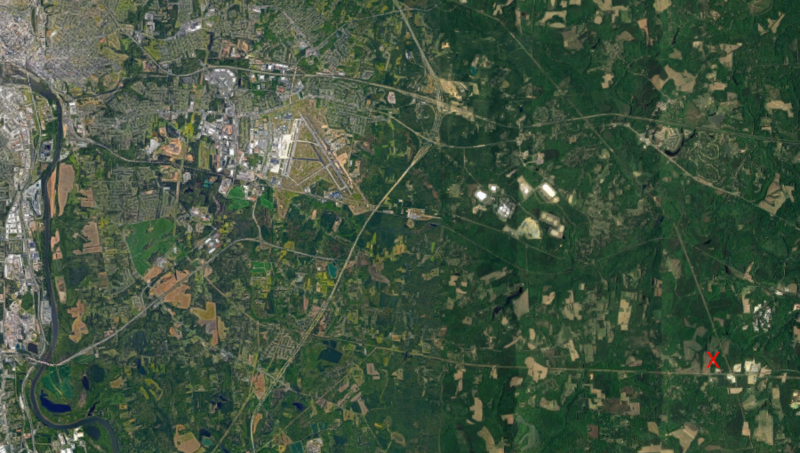 Electricity could be generated from power plants built near the gas fields, then transmitted through the grid to industrial facilities in Hampton Roads. That option would require construction or expansion of overhead power lines, and the utilities would have to deal with public opposition to that new infrastructure. There are no options where everyone will agree. The basic need for the extra gas to be moved to Virginia via the Atlantic Coast Pipeline was challenged by pipeline opponents. In 2018, the State Corporation Commission rejected the Integrated Resource Plan (IRP) submitted by Dominion's utility subsidiary to provide a framework for future investments. It noted that projections for electricity demand (load forecasts) had been "consistently overstated." The state agency cited the projections by PJM Interconnection, the multi-state Regional Transmission Organization (RTO) that coordinates the movement of wholesale electricity. In 2018 PJM predicted a 0.8% compound annual growth rate in peak demand over the next 15 years, while Dominion predicted 1.4%. 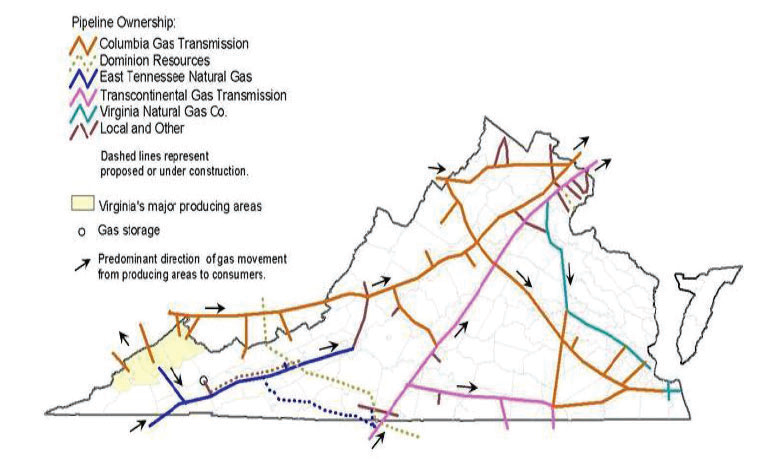 ...even if more gas were needed, other pipeline options were much cheaper than Dominion’s affiliate deals. And, given that Dominion already has contracts with another pipeline company to serve the utility’s existing gas plants, the money paid for capacity in the ACP will be entirely wasted — unless, of course, Dominion builds a bunch of new gas plants or drops lower-priced transportation arrangements in favor of its costly affiliate deals. Every year or two Virginia experiences a deep freeze that spikes demand for natural gas and shoots up the price from $3 to $5 per mcf (thousand cubic feet) to well over $100... Just one of those events can cost Virginia rate payers between $100 million and $150 million. The ACP’s added capacity makes it possible not just to supply more gas but to bring in gas from different gas-producing regions than the current sources of supply. Opponents of the pipeline tried to block state approval of an air quality permit, which Dominion needed for a compressor station in Buckingham County. 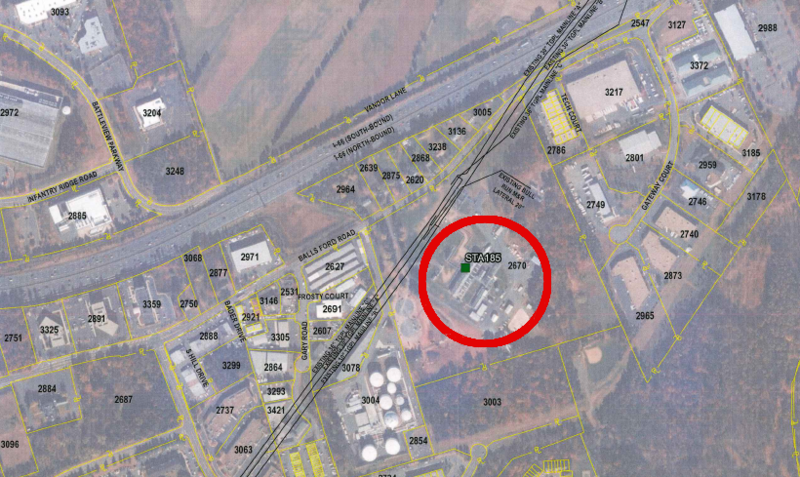 The Virginia Air Pollution Control Board delayed its decision in order to assess claims that the preferred location, next to the African-American community of Union Hill, reflected environmental racism and if an alternative location would be feasible. 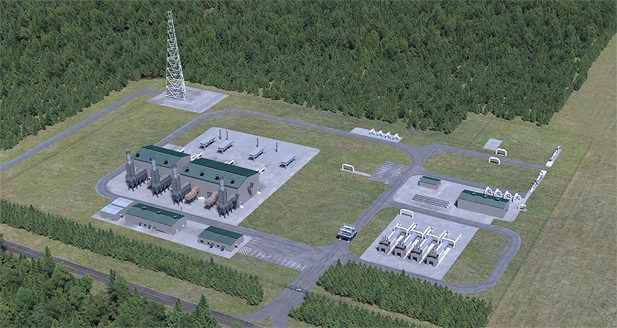 Dominion claimed the location of Compressr Station #2 (one of three for the pipeline) was necessary because the site was near an intersection with existing natural gas pipeline, and the landowner was willing to sell the needed 68 acres. The Virginia the Department of Environmental Quality recommended approval, and the site was already approved by the Federal Energy Regulatory Commission and the Buckingham Board of Supervisors. The issue was highly politicized, and drew national attention from activists. The state agency was deciding whether to authorize emissions from one new compressor station, but the fundamental issue was an effort to block the entire 600-mile Atlantic Coast Pipeline. Transco reacted to the possible competition from Dominion and Duke Energy. 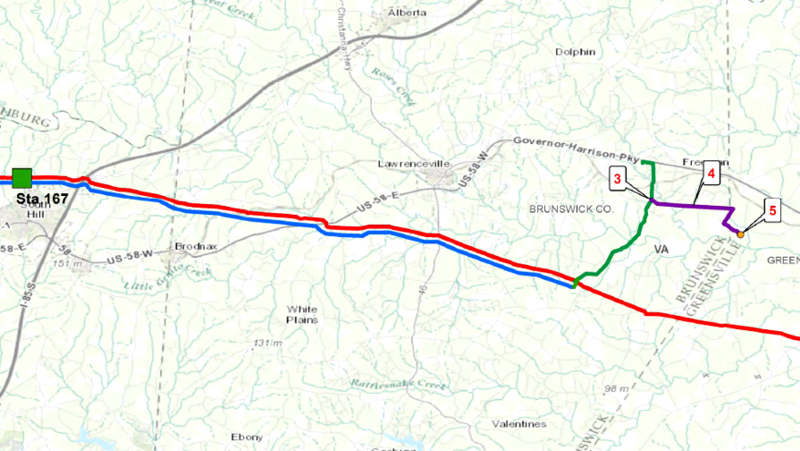 In addition to the Appalachian Connector, Transco developed a second plan to ship Marcellus gas south. The Atlantic Sunrise pipeline would insert gas from Pennsylvania fields into Transco's trunk pipeline near the Pennsylvania-Maryland border. The extra gas would be piped south, reversing the direction of flow in the pipeline. Not every pipeline project that is announced will end up getting built. Some, such as the Greenbrier project, will fail to identify enough long-term customers to justify the high initial cost of building a pipeline. One proposal to transport Marcellus Shale gas has already been dropped. A fourth proposal to bring Appalachian Plateau gas to power plants in southeastern Virginia and North Carolina was announced in 2014. Spectra Energy indicated that it might build a pipeline through Virginia from Frederick to Mecklenburg counties. 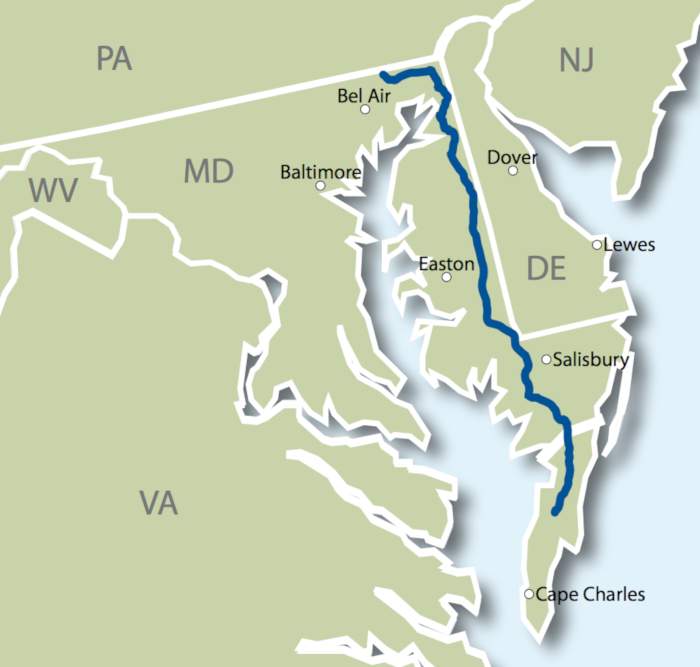 On the Eastern Shore, the Delmarva Pipeline Company proposed a new pipeline in 2017. 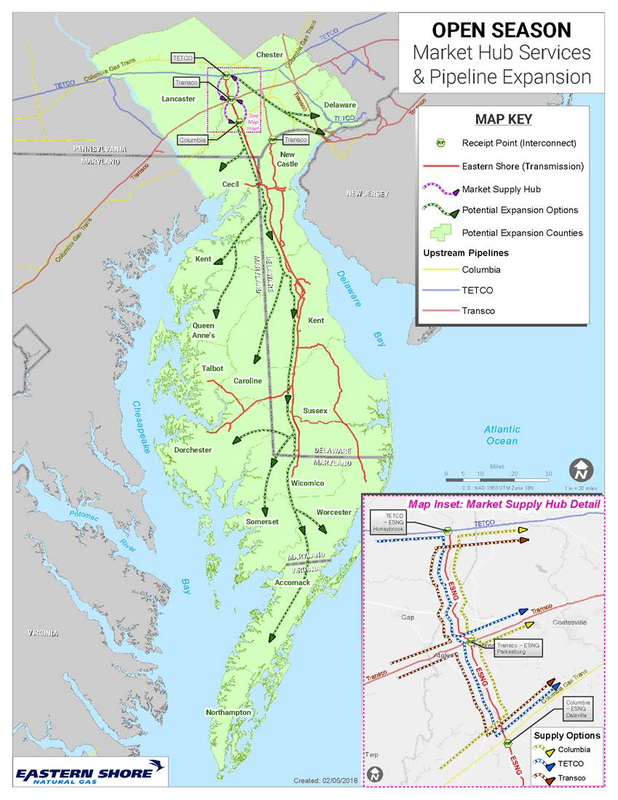 The gas would come from the Transco pipeline at or near Gate 196, and the new ppeline would transport it south through Maryland into Accomack County. 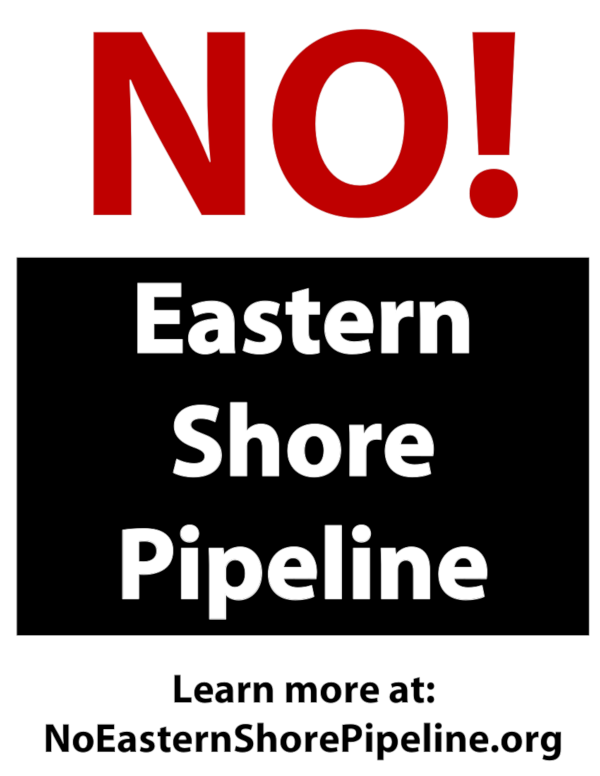 The "No Eastern Shore Pipeline" group feared it might provide natural gas for a new electrical generating station to be located near Denton, Maryland. The proposed new pipelines could deliver gas from the Gulf Coast or from the Marcellus Basin, since the new supply from fracking was creating more price competition.